Looking to live in the West Village and be able to see the whole city? 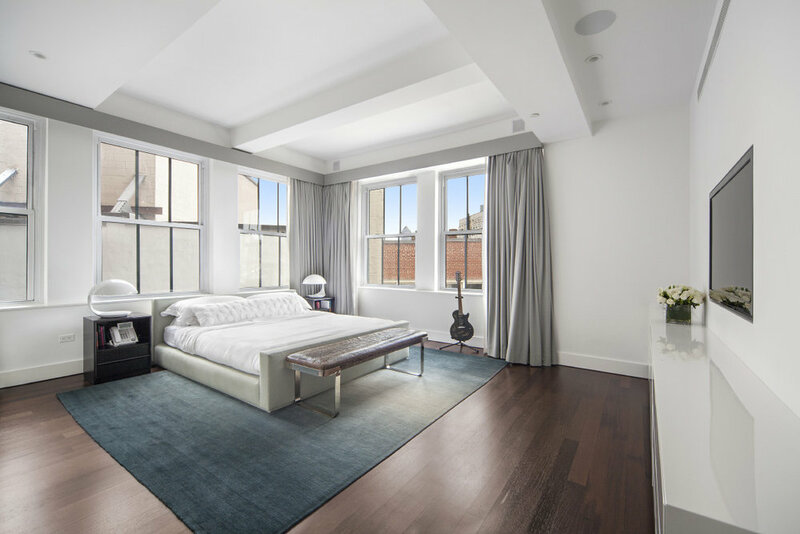 New on the market, one of our favorite listing this week is the Prewar 147 Waverly Place is the ultimate luxurious boutique condominium featuring the character of the old with all the modern conveniences of the new. 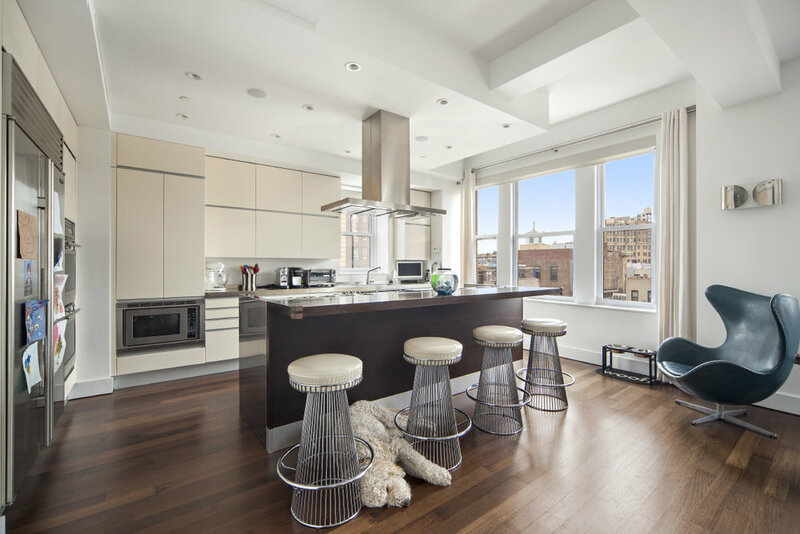 Enter an outstanding, fully upgraded triple mint, sun-filled West Village pre-war condominium that provides exquisite 360 degree views of the city. The 3 bedroom plus den, 3.5 bath apartment measures approximately 3,400 sq.ft. and offers high ceilings, Wenge wood floors and a four zone A/C system throughout. The entry foyer leads to a wide open entertaining space, an open kitchen and great room offering expansive views giving an impression of endless space. Highlights of the Valcuccine kitchen include stainless steel countertops, a Walnut breakfast bar, double Miele dishwashers, double Wolf ovens, Sub-Zero Refrigerator and wine cooler, Wolf stove top and hood. A generous pantry has customized shelving. The magnificent corner master suite provides two exposures, a full wall of closets and a luxurious windowed bathroom. There are two other generously sized bedrooms, one with an en-suite bath. There are numerous built-in TVs, and a fully integrated Crestron Audio/Video system throughout the apartment completes the picture. An impressive amount of closets have been added to provide enough space to store all of your finest things. The apartment has a full-sized laundry room with a washer, a dryer, a sink and ample storage. 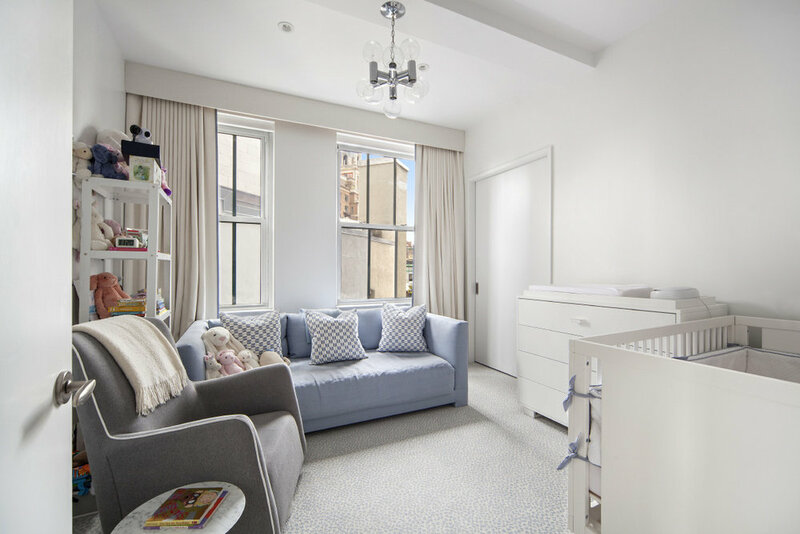 The apartment's 30 resealed windows look out onto historic Greenwich Village, the Empire State building and the Freedom Tower. 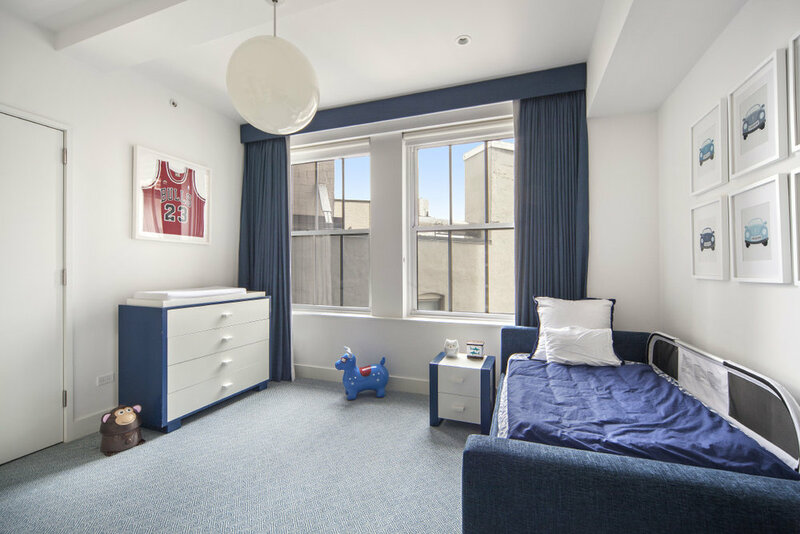 This unit comes with two large walk-in storage rooms in the basement. There is a 24-hour doorman and a landscaped roof terrace with a grill. Near outstanding restaurants, gyms, shopping and convenient to transportation. Pets welcomed. Ellen J. Cohen of Stribling & Associates are the listing agents.